Size: 4 small roofs, between 80-200 sq. ft. 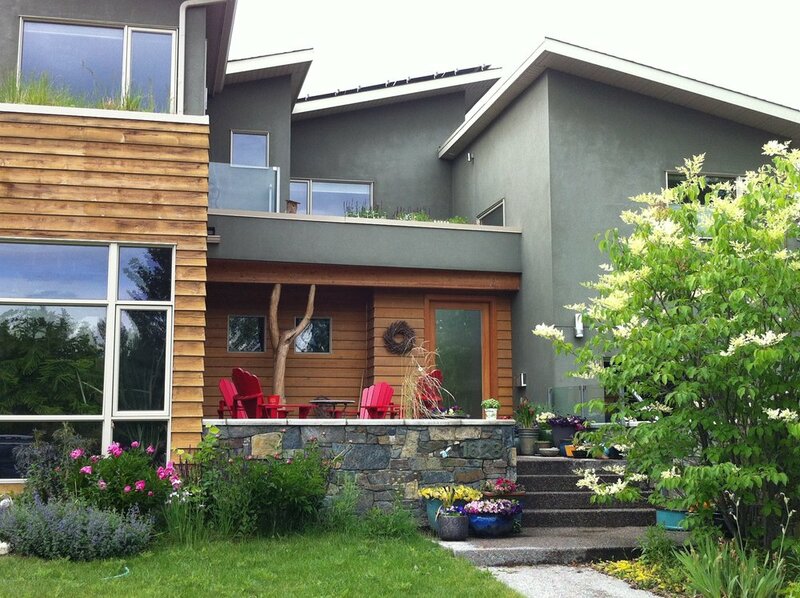 Using green roofs to adorn, provide roof insulation, and replace lost habitat in a passive solar home. The roofs are arranged adjacent to private space, helping bring nature closer. Located in Calgary’s Southwest community of Altadore, this project includes three extensive green roofs on a newly built single family home. Designed with a passive solar approach, this house uses space and energy effectively and efficiently. The orientation of windows provides natural light and warmth in the winter; while in the summer the overhangs and glazing create the shading necessary to keep a comfortable interior temperature. The loose-laid green roofs are located by adjacent to private living spaces, creating opportunities to bring nature closer to sleeping areas. They also help keep down the temperature in the summer and mitigate stormwater runoff. These roofs also provide additional planting area and habitat for urban wildlife.